The project applies a SCADA system for controlling, visualizing, and data acquisition for an automatic batch system, joining the three areas of the process: nutrition, production, and operation. The objectives of the project were to reduce production time, production cost, and waste of raw material — improving the product quality and quantity. Grupo Oro needed nutrition, production, and operation to all work together. But the company did not have a control system, so operators had to process the raw material manually. They had to activate and deactivate system equipment. They did not have a record of the material that they used, so the quality of the product was poor. The production time was longer than the working day. Operators start the daily production orders that the production manager creates. The recipes are created by the nutritionist, and the manager creates the orders for processing. If the nutritionist changes the recipe, the operator needs to know about it. The automation of the system was carried out through a PLC (S7-1500) and the HMI developed in Ignition. The PLC controls all the equipment involved in the process. Operators can monitor and control each device from the control room. The system has three clients running: nutrition, production, and operation. The nutritionist creates the recipes and they are stored in the database. The manager creates the order for the day. Operators can only start the order for each day. The automatic system avoids the wrong dosage, because operators must configure the raw material in the system, before an order can be started. If one recipe ingredient is missing, the system allows the operator to choose a replacement or wait until the material arrives. All consumptions are stored in the database. Ignition joins the three areas of the production in one application, but these parts have restrictions for each user. The recipes can be modified, and the operator must choose the version of the recipe they want to work with. The application has a table with the information of all the versions of the recipes. Having data that is better organized is helping Grupo Oro to improve the quality of the product. The application allows staff to know the quantity of raw material that has been used. The product quality was improved from the first day that the system began to work. Operators can now control and modify the time of the process. The staff can make production decisions through the analysis of the generated reports. Because they have the result from each batch, they can improve and make a better product. The nutritionist can see the development of the process and the manager can verify the recipe versions in real time. In the application, recipe management now works better, and there has been a decrease in the use of printed pages. The waste was reduced, and greater control was obtained in the handling of raw material. The application reduces the production time due to recipe changes or operator mistakes. In the same way, if the animal food has an issue, operators will know the problem and can fix it in the next production. ASE made four reports with the information from the database, and exposed the most important information to improve the quality. Those reports show a general and a particular summary of each order. In the future, the main objective is the complete implementation of Ignition for the plant. Grupo Oro wants to include other areas in the application to improve product quality. The next steps are raw material reception, manual weights, and distribution. Most of the graphics were created by ASE, using some parts from the Symbol Factory symbols, but associated and animated with the ASE format. The most interesting objects are motors, dosing screws, valves, and pumps. The data management was important because other platforms can store a lot of data, but do not know how to show it to the client. ASE must show the main data of the system and the parameters that can be modified to improve the performance of it. The ease with which Ignition connects with any database manager was important to this project. As were access to storage and real-time querying of the data. ASE could store all recipe details and the versions in the database by traceability topic. In the future, ASE wants to implement and visualize them into the system. 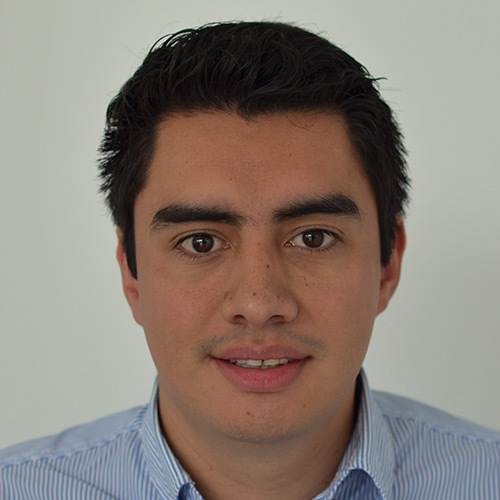 Richard is an electronic engineer working for Automation Solutions Ecuador for more than two years. He has experience in industrial automation, specializing in control systems development including HMI/SCADA applications. Richard is fascinated by engineering and technology, and has been working with the Ignition platform since 2016. Automation Solutions Ecuador is the leading company in the Ecuadorian market providing engineering, consulting, and electronic equipment and product distribution to meet the needs of automation and control in order to improve its customers’ everyday operations. The company’s policy is to establish the highest standards in each of its projects, using the latest proven technologies in international markets, which optimize resources, resulting in reduced costs, development time, and response time to end customers. Grupo Oro was born in 1992 with the production of commercial eggs in the towns of Puembo and Ascázubi. This company has expanded to other lines, achieving the integration and diversification with production in the provinces of Pichincha, Imbabura and Carchi. Grupo Oro is one of the leading companies in the food industry in Ecuador. Grupo Oro is committed to the continuous improvement of the quality and satisfaction of its customers, developing quality products and excellent customer service.